It is with much sadness that the Anderson Family say farewell to Bjorn Fjord commonly known as Bear. Bear was foaled in 1991 and lived a long happy life with many children in his life. These children came from all over the Intermountain Pony Club Region. He made several trips back East to the National Pony Club Rallies. Currently, Bear taught my daughter Maren how to ride. 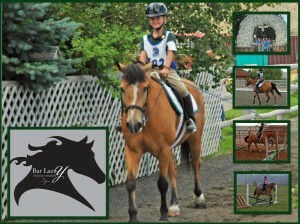 She was able to take second at such a young age at the D-Eventing Rally this last fall in her division. I will be forever grateful for this willingness to teach her to be confident and also to love to ride. He will be extremely missed by several people within our region, but I think most by my daughter Maren who just lost a life long best friend.